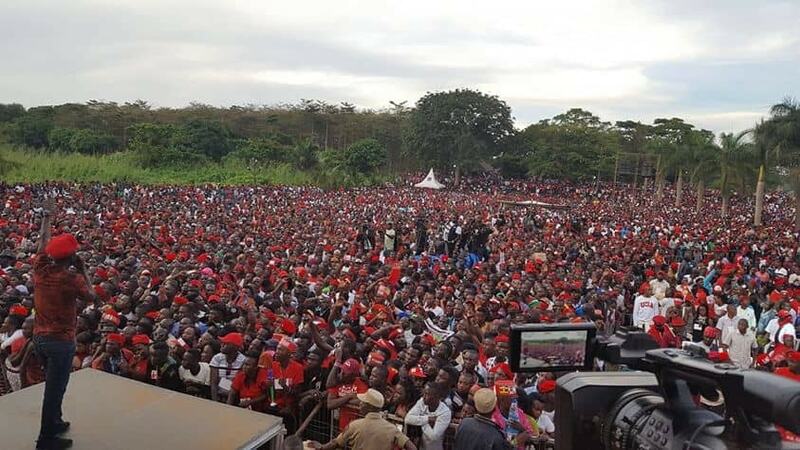 Popular singer and Member of Parliament for Kyadondo East Kyagulanyi Ssentamu alias Bobi wine has set the bar too high for any Ugandan artiste to ever live after receiving the biggest number of supporters in one place at his One Love Beach in Busabala while launching his Kyarenga song currently the biggest tune in Uganda. The musician turned politician has literally declared himself the biggest artiste in Uganda setting the bar high for his counterparts like Jose Chameleone, Bebe cool, Eddy Kenzo and others seeing the biggest number of artistes performing at his show. The show that officially started as early as 10 am has seen the biggest half of Ugandan artistes performing while other showing their support to Bobi wine who is planning for the presidency in 2021 although not yet official. Singers like King Saha, Pallaso, Eddy Kenzo, Spice Diana, Nubian Li, Roden Y, Eddy Yawe, Aziz Azion and Chris Evans are some of the many artistes who performed at Kyarenga concert and promised to stand behind Bobi wine at any time in his political journey. Kyarenga concert which was banned at Namboole stadium in October has attracted mammoth crowds and this has given him an opportunity to send a message to the government that he is like a magnet to people who can follow him any where he goes. 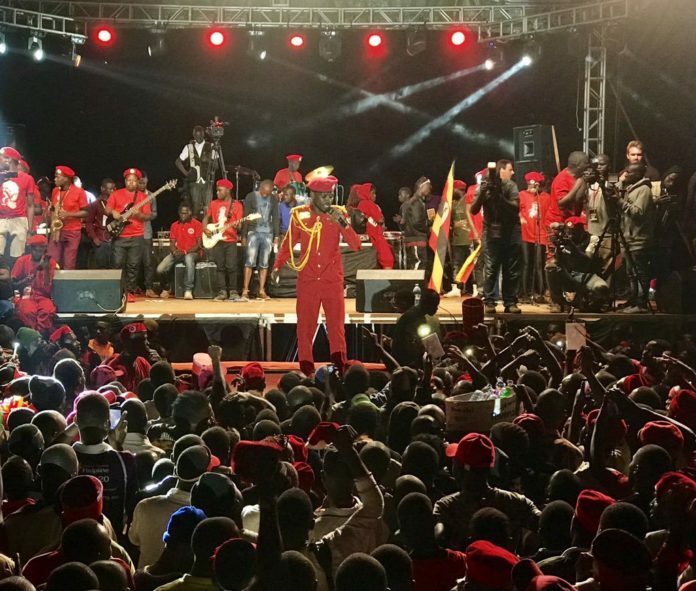 Bobi wine who showed up on stage in different sessions dressed in red, white and yellow attires performed live hundreds of his songs mocking the president with names like Bosco, Kataala. He performed songs like Kataala, Mazzi mawanvu, Bikwase Kyagulanyi, Situuka, Freedom, Ndi munnauganda, Aidah, Kyarenga. 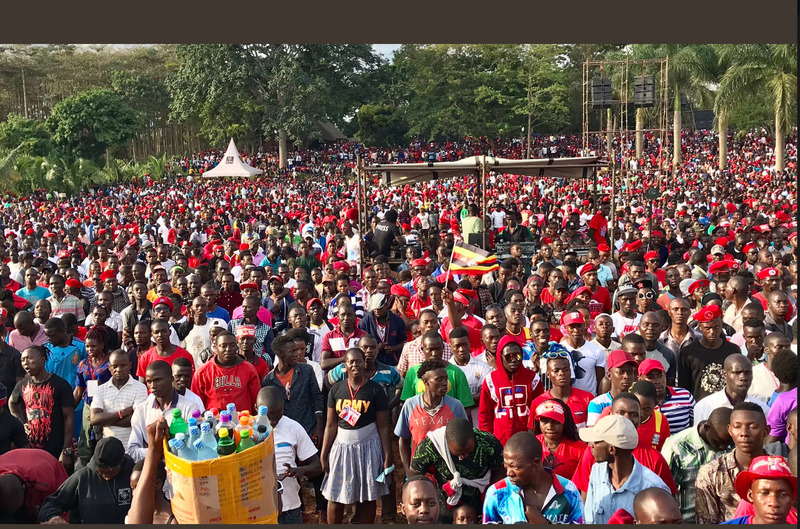 Bobi wine’s success at Kyarenga served as a message to government to show the state what he is capable of doing and his people power movement.